Microsoft Office 2010 allows users to edit images directly in Word or PowerPoint. 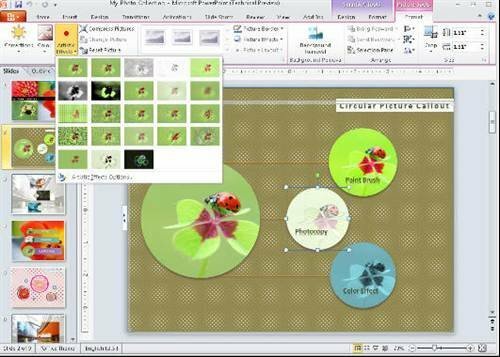 The products include basic image editing functions, which enable users to do simple tasks like remove the background from a holiday snap so that the photo can be embedded in a PowerPoint slide deck. Microsoft has unveiled a technical preview of Office 2010, the next version of its Office productivity suite at the Microsoft Worldwide Partner Conference. Office 2010 provides three ways of working. First, users can install it on their PC. Second it is possible to run Office 2010 in a web browser over the company intranet. Third, Microsoft is offering a free cloud-based version, through its Windows LiveWork service. Due out in the first half of 2010, Office 2010 will be available in three versions targetting businesses, home users and student, and small businesses.